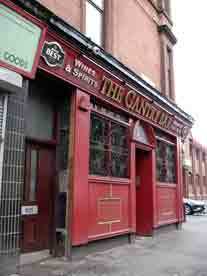 929 Shettleston Road, Shettleston, Glasgow. G32 7NU.Tel: 01417784226. This old pub was known as Stevenson's when it was built at the beginning of the 1900s, James Lee Stevenson was a well respected publican in the area, when he died his wife Elizabeth took over the licence in 1914 paying an annul rent of £90.00. Daughter Catherine then took control of the business until the out break of the First World War. The pub became known as the Waverley Bar. Other licence holders were Robert Skelton 1960s and 70s then Charlie Hugh and Billy Mitchell became partners in the business. The Gantry with a new paint job. 2009.